PHILADELPHIA (CBS) – With the AIDS Walk Philly just days away, a queer Latino group is carrying out a new campaign to stop the stigma associated with HIV and AIDS in North Philadelphia. 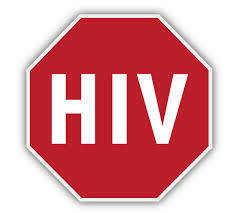 Latinos make more than 13-percent of new HIV cases and, according to statistics, they are less likely to get tested. Experts believe the stigma of having HIV could discourage early testing. So “Positivo” is all about transforming negative attitudes about having HIV into positive. The group also started a social media campaign on Twitter, Instagram and Facebook with the hashtags #PositivoPhilly and #GALAEIPhilly. The group says Positivo is the first campaign of its kind. Read the full article on CBS Philly. For more info on Positivo or on how to share your story, visit: www.GALAEI.org. This entry was posted in Activism, In the News. Bookmark the permalink.